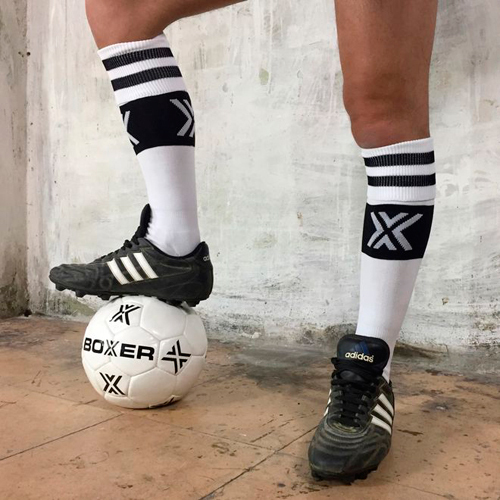 Football Socks from Boxer Barcelona. Black With Colored Stripes and X-Logo. Click on the picture to view more pictures.